Leigh Ann & Miles enjoyed the most gorgeous Atlanta wedding on the most perfect spring day on April 2, 2011 at The Trolley Barn in Inman Park. Jason Travis Photography shot the day to perfection, capturing the designs of Atlanta Floral Designer Le Bonne Fleur ,some great quiet moments and all those little details. The couple envisioned a vintage wedding, highlighting the handmade crafts the Bride and recruited friends made for the event. 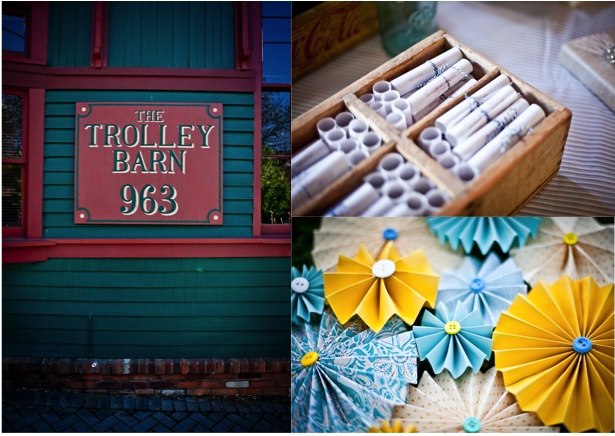 Colorful paper pinwheels were incorporated throughout and were such lovely, whimsical touches. 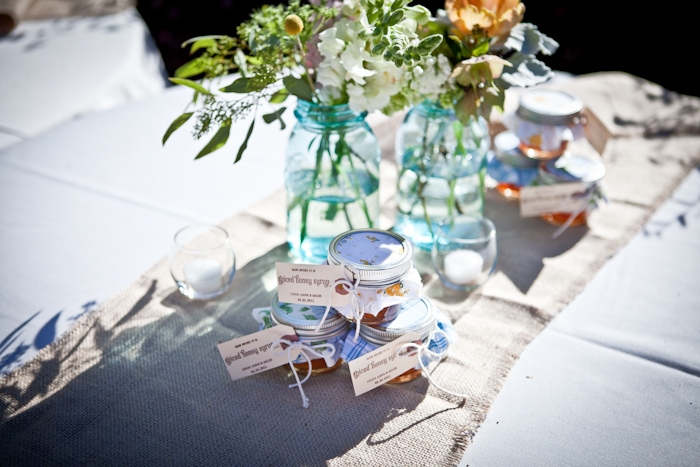 Honey pots favors were also left on each table for the guests to take with them. 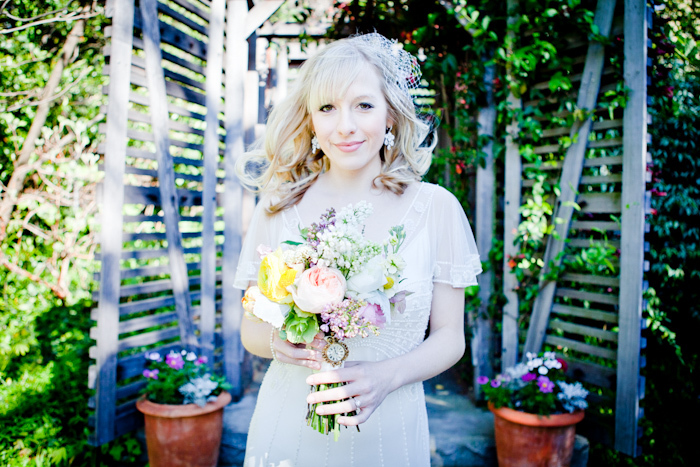 Le Bonne Fleur used the vintage inspired florals and created colorful, vintage bridal bouquet, boutonnières and centerpieces using a variety of texture, shapes, and color flowers to capture the look and feel. 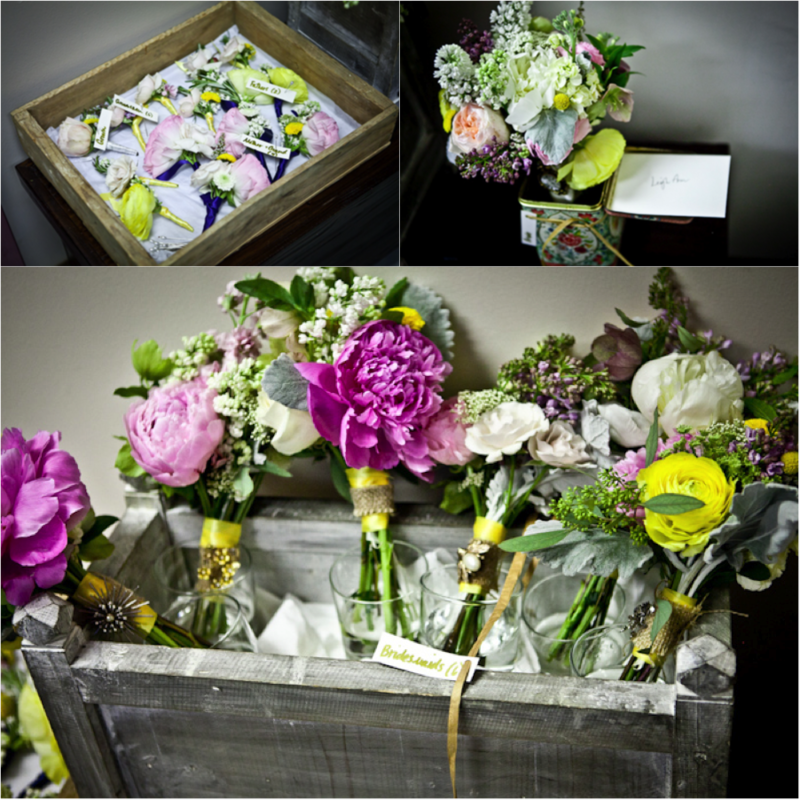 The mixed peony bouquets also included lilac, dusty miller , ranunculus, hellebores, parrot tulips and many other florals. 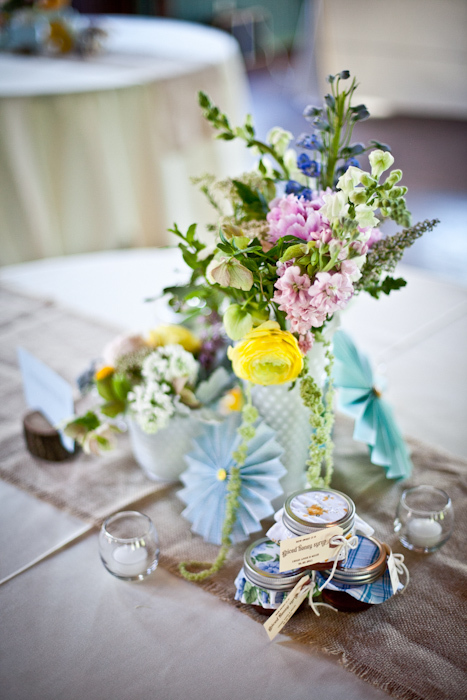 The Bride collected blue mason jars and milk glass from friends and antique shops around the city to use for the mixed floral centerpieces. Special details such as the Bride’s custom broach made this unique event. 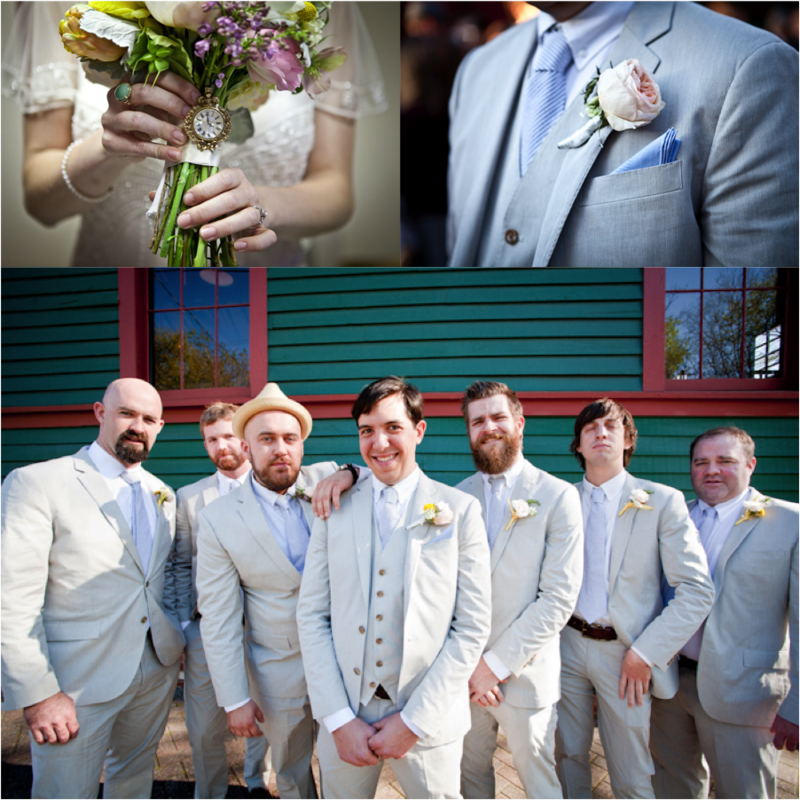 And last but not least, don’t forget about the handsome groom and groomsmen in their garden rose boutonnières by Le Bonne Fleur.